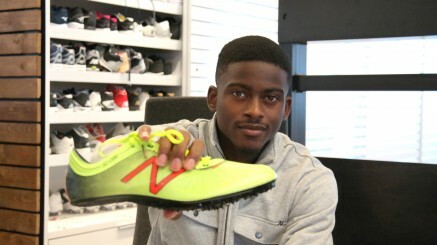 17th January 2016 – World Championships 100m bronze medallist Trayvon Bromell (USA) made an impressive professional debut as he opened his indoor season over 60m in Texas. Having negotiated his way through his heat in 6.67 seconds, Trayvon went even faster in the final winning in 6.59 seconds. At the same meeting Laura Roesler (USA) made a welcome return to racing as she placed third in the 800m in 2:05.25. It was a very productive weekend for PACE athletes on the boards as Schillonie Calvert (JAM) and the Oregon Project trio of Shannon Rowbury (USA), Jordan Hasay (USA) and Matthew Centrowitz (USA) all recorded victories.